In an area of less than 90 hectares, Castor Hanglands contains a remarkable variety of plant and animal life. The Reserve has four distinct habitats – woodland, grassland, wetland and scrub. The history of the area goes back over 2,000 years. The Western boundary of the Reserve follows King Street, a Roman Road connecting Castor and Bourne. Castor Hanglands wood is thought to have existed for over 1,000 years: the woodland in Castor is mentioned in the Domesday Book (1087), and the name ‘hangra’ is Old English for a wood on a hill. The woods later became part of the Mediaeval hunting Forest of Nassaburgh. The grassland, scrub and wetland areas of the reserve are part of Ailsworth Heath. This land was ploughed around 800 years ago, leaving distinct ridges and furrows, some of which can still be seen today. In about 1350, cultivation was abandoned, and the Heath became common land, grazed by sheep, cattle and ponies belonging to commoners in the village of Ailsworth. The Heath was later celebrated in the writings of Helpston’s ‘peasant poet’, John Clare; who was the first person to record many of the plants, birds and other wildlife on the site. In 1953 the remaining areas of woodland and heath were declared as one of Britain’s first National Nature Reserves. For centuries the open grassland on Ailsworth Heath was grazed by sheep and cattle. This traditional management allowed many grasses and wild flowers to survive. A profusion of wild flowers such as bird’s foot trefoil, rock-rose, harebell, ox-eye daisy and hay rattle may be seen on the drier soils of the limestone. Wetter ground on the clay is richer in grasses, but other plants such as adder’s-tongue fern and meadowsweet are also found. Butterflies such as common blue, meadow brown and brown argus can be seen in summer feeding on the wild flowers. Common grazing ended by the 1930’s and today Natural England use traditional breeds to maintain the grassland. Ancient woodlands such as Castor Hanglands are especially rich in plants and animals. The dominant trees are oak and ash, amongst which a variety of other trees and shrubs are found including birch, field maple, hazel and willow. The rare wild service tree may also be seen in a few places. In spring the woodland floor has a mixture of plants including bluebell, primrose, violet, wood anemone and common spotted orchid. Rarer plants such as crested cow-wheat and greater butterfly orchid also occur. A range of typical woodland birds are found including nuthatch, treecreeper, tawny owl and woodcock. Woodland butterflies present include speckled wood, purple hairstreak and white admiral. A large number of rare insects have been recorded, many of them living in dead and decaying wood. Old coppice stools, with their gnarled bases, rot-holes and fallen limbs, are especially good for these, as well as for fungi, mosses and lichens. Small areas of the woodland are still managed by traditional coppicing, cutting the trees on a rotational basis every 20-30 years. The remaining woodland is left to develop naturally. Fallow deer are numerous in the area, especially in the autumn and winter. The smaller muntjac deer are also fairly common. Large numbers of deer can cause damage to the woodland, killing saplings and shrubs and reducing the number of bluebells and other woodland flowers. Scrub is a mixture of shrubs and bushes such as hawthorn, blackthorn, wild privet, spindle, dogwood and wild rose. Many of the patches of scrub grew up on Ailsworth Heath after common grazing ended in the 1930’s. The scrub now provides a range of fruits and flowers through the year which are a valuable food source for birds and insects. One of the rarest insects is the black hairstreak butterfly. The caterpillars feed on blackthorn leaves, and the adult butterflies may sometimes be seen feeding on privet blossom in June. The dense thickets of scrub also provide shelter and nesting habitat for many birds including nightingale, whitethroat, garden warbler, blackcap and turtle dove. Patches of scrub are cut back regularly to encourage the younger bushy growth that provides the right conditions for its unique wildlife. In parts of the reserve, the water table lies just below ground level, making the land boggy and waterlogged for much of the year. These wetland areas are small but have their own special flowers including marsh orchid, water mint, marsh marigold and fleabane. There are also a number of ponds throughout the reserve which support many aquatic plants and animals. Eighteen species of dragonfly have been recorded as well as all three species of British newt. Frogs, toads and grass snakes can also be found. Castor Hanglands is situated 3km North of the village of Ailsworth, 7km West of Peterborough in Cambridgeshire. 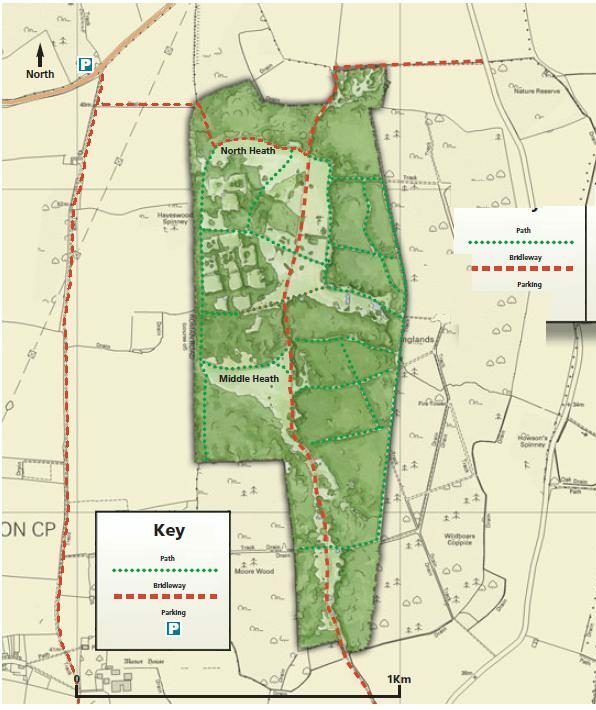 There is limited roadside parking available (see map), from which there is a 500m walk to the reserve. The site is open all the year round, apart from very occasional closures for shooting – please obey any warning notices. Further information about this reserve can be obtained from the Reserve Warden on 0707970 408417. Paths may be muddy and uneven. Animals may be grazing some areas. Heavy winds may cause falling trees and branches. Please keep dogs on a lead and close gates. Please make sure the bridleway track is kept clear when parking. 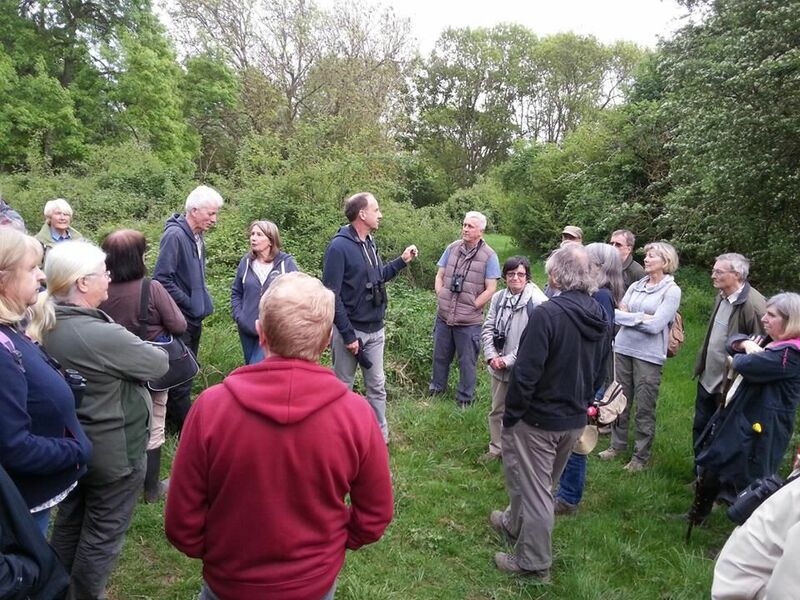 The reserve is managed by Natural England and it partners including The Langdyke Trust, Nene Coppicing and Crafts, Milton Estate and Forestry Commission. Castor Hanglands and the Hills and Holes are National Nature Reserves managed by Natural England.